There really is nothing better than watching a complete house renovation unfold. I said ‘watching’ not ‘experiencing’! Steph and her family bought their home in 2016 but only moved in earlier this year. Although not quite finished, Steph has kindly allowed us a sneaky peek into their gorgeous 1930s home. I live with my husband Chris and our two girls, Tamsin aged 12 and Sasha aged 10. We have lived in Hertfordshire for just over 13 years now and moved into this home in May this year. Hoping it will be our ‘forever home’! 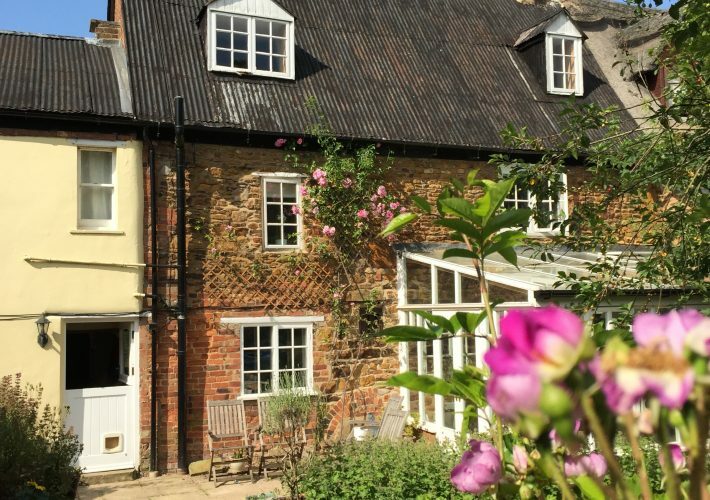 I’d never really believed in that old saying about people falling in love with their houses on first sight… but then it happened to me! Well, not quite on first sight, but as soon as I walked through the front door. 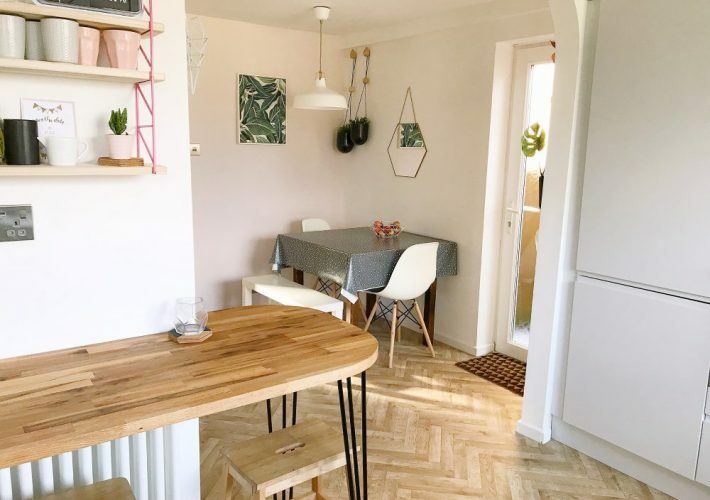 This was no mean feat as the house hadn’t actually been lived in for 6 months so it didn’t have the bedrooms we needed and as it had belonged to an older couple, all the decor was very dated. It just felt right though; it reminded me of the house I grew up in even though that was many miles away. Yes, we’ve had a lot of work done! In fact, we weren’t able to move into the house at all until 20 months after we had bought it as it needed major renovations. Renovations included: adding an extra bedroom by taking the whole roof off and rebuilding to create a loft bedroom, extending out the back for a kitchen/dining space, a double storey extension at the side providing us with a utility room behind the garage and ensuite bathrooms to the two main bedrooms. We had sold our house just before we found this one, so we were already in rented accommodation. It was great not to have to live through the work but be able to pop in and see the different stages. 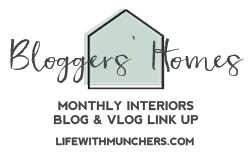 I really enjoyed blogging about the whole process but haven’t quite managed to do a proper update since we moved in as so much has been happening still. It has to be the kitchen as I spend so much time in there, especially seeing as our front room isn’t quite finished yet. It’s an open plan living area and is very spacious with a large island, perfect for doing my cake decorating on. My two favourite features are the teal coloured splash back and the bi-fold windows which were very welcome for a couple of extremely hot days in summer! I do also love all the bathrooms (three of them), although they were what gave me the biggest headache when renovating. 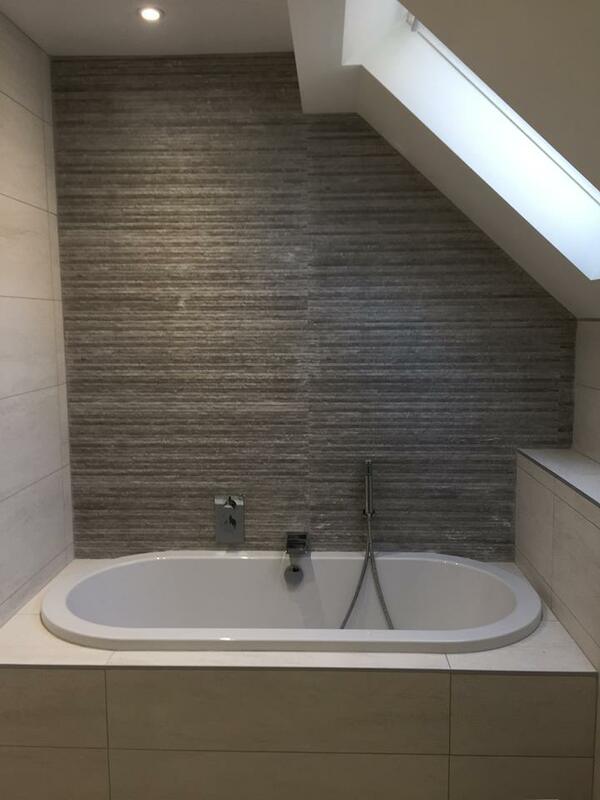 There’s just so many options and so much to think about – from where the shower waste can go because of joists, to what bathroom furniture will work best. I’m pleased with how they ended up though. In our downstairs toilet, I chose a wall hanging sink unit. For some unknown reason, the plumber didn’t chase the pipes into the wall properly and so we’ve ended up with ridiculous boxing underneath it – I may as well have gone for a full pedestal! There was so much going on towards the end of the build though and pressure to move in by a certain date that we have to just live with it for now. One day it will be sorted! Last week we finally got a new front door installed (see above picture) and this week we have decorators in painting the woodwork. The next urgent purchase will be curtains for the bay window in our bedroom. Early next year it’ll be all about getting the lounge finished – built in shelves and curtains are top of the list. Then when the weather improves, the patio will finally be laid by my hard working husband. I’m sure that’s not all though; it’s going to be a work in progress for a long time yet. I’m very envious of those with perfect, tidy houses but don’t think we’ll ever really get to that stage! 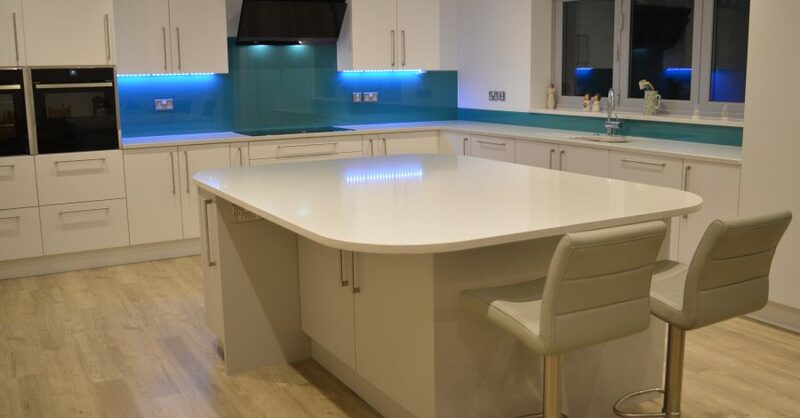 That teal splash back is such a stunning addition to the kitchen! 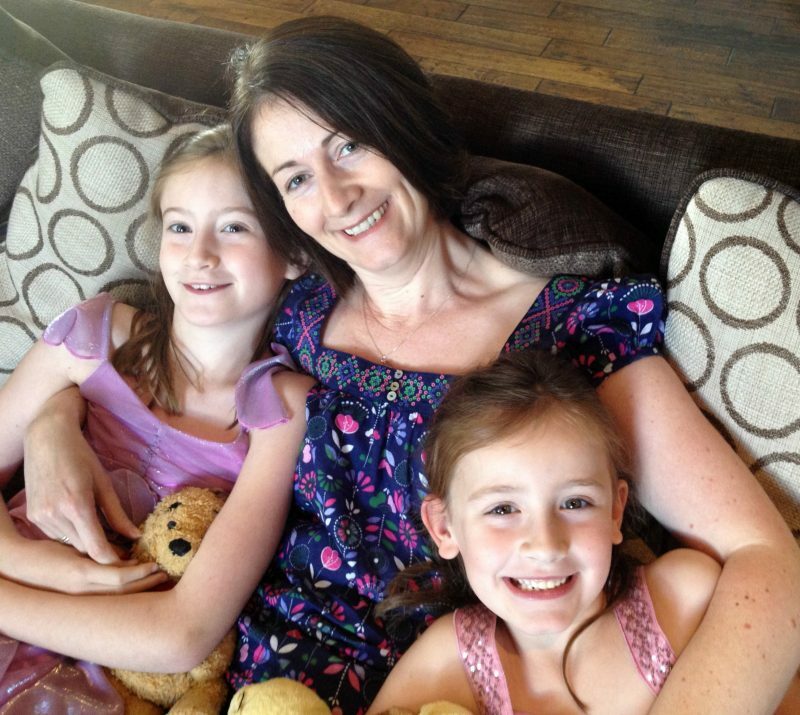 I think Steph has made some excellent choices and it really has created a stunningly light and spacious family home. I can certainly see why they plan to never move again! 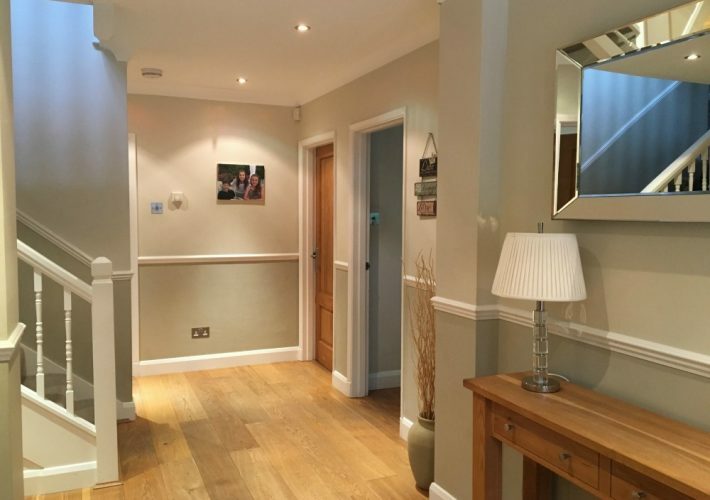 Want to find out what colour Steph finally chooses for that chimney breast? Head over to Instagram, Facebook or Twitter and please do check out Steph’s inspirational blog where she shares with such honesty, what it’s like to live with autism (PDA) in the family. Wow! It looks fantastic. I love the kitchen and bathroom. What a labour of love to have all that work done, but it looks like it was worth the wait. Another beautiful house!! I do love a good nose around a stranger’s house. That kitchen is beautiful and amazing that they did it all themselves. Oh wow what a huge project! I can’t even begin to imagine how much work has gone into this. 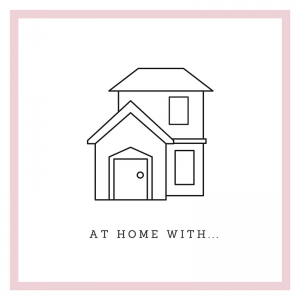 I love the idea of taking on a renovation project and literally starting from scratch to create our forever home but I have no idea how we’d ever afford it. It looks beautiful – those gorgeous bay windows!